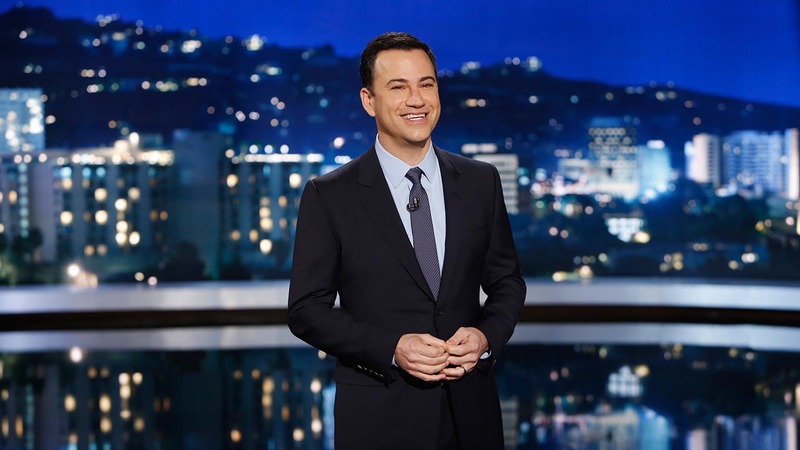 What's the best Jimmy Kimmel prank of all time? Help us decide! Watch the pranks in the eight match-ups below, and then follow the link to vote in the "Sinister Sixteen." Round one voting has ended. Click here to see who made it through! Warning: Some videos contain adult language...especially from poor Aunt Chippy. The joke was on the internet this time. In 2013, a video of a woman who twerked so hard she caught fire went viral. When Jimmy had her as a guest on his show, he revealed he was in on the fake fail the whole time. Watch the original video. Tao to watch if you're viewing on the news app. Athletes had to put up with some hotel problems while in Sochi for the Winter Olympics, but a wolf? After Kate Hansen posted a video of a wolf in her hallway, it went viral. Should we have known Jimmy was behind it? Probably. Watch the original video that fooled the internet here. Who says pranks can't be nice? This viral star got the surprise of her life when she thought she was talking to Justin Bieber on the phone, only to have him walk into the room! Jimmy, dressed as a talking pig, befriends two young girls at the State Fair. But just because they believe in talking pigs, that doesn't mean they'll let him boss them around. This type of Super Bowl black-out only affects houses with pranksters. Viewers were encouraged to unplug the TV at a crucial moment in the game, and many were up to the challenge. Jimmy promised that only 30 people were hospitalized over this. If dad is usually the one pulling pranks in your family, Jimmy gave you the perfect opportunity to get him back for Fathers' Day. He wasn't expecting, though, that it would backfire on him. What could be meaner than tricking your kids into believing all their Halloween candy is gone...because you ate it? Jimmy first asked parents to pull this prank in 2011, and it's been a hit every year since. OK, we thought of something that might be meaner than stolen Halloween candy: getting a half-eaten sandwich for Christmas. We'd say they should go on Santa's nice list for putting up with this, but some of these kids had pretty major meltdowns. Jimmy's favorite prank subject agreed to do an interview with her local ABC affiliate. Too bad Jimmy and Cousin Sal knew exactly how to turn it into a disaster and make Chippy go into full crazy Italian aunt mode. It's cruel enough to call Aunt Chippy "as sweet as a shot glass full of gasoline," but Jimmy took advantage of how gullible she can be, too. In her very first sonogram viewing, the "baby" made a pretty rude hand gesture...and did some jumping jacks. MATCH-UP 6: THAT'S NOT JIMMY! For 10 years, Jimmy "ran out of time" to have Matt Damon as a guest on the show. When the actor finally got his revenge and took over the show, it made us laugh out loud...but also squirm in our seats. Take a photo with "Jimmy Kimmel"
People claiming to be fans of the show lined up to get a photo with Jimmy. The catch was that they were greeted by a guy who only kind of looks like him. That didn't make a difference for most of them. Does it count as a prank if the person knows what's going on? People on the street were asked for their passwords, and they gave them up without much of a fight. Would you admit that you aren't a Drake fan to his face? These unsuspecting pedestrians gave all kinds of criticisms of the rapper ... without realizing they were being interviewed by him. Jimmy really did go through the Uber hiring process, all for the sake of confusing one poor guy who just wanted a cheap lift. Sometimes the prankster becomes the prank-ee. Jimmy's long-running prank battle with his neighbors, John Krasinski and Emily Blunt, was taken to a new level last Christmas when the couple gift-wrapped Jimmy's car...three times. Voting for the first round ends March 29. Check back March 30 to see which videos advance to the Entertaining 8!